Savannah State University Professor and A.E. 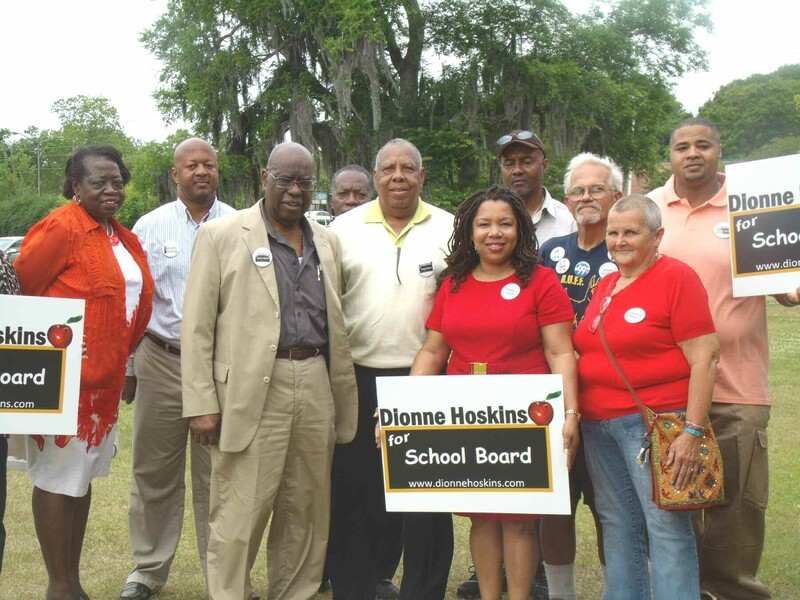 Beach High School alumna Dr. Dionne Hoskins, the District 2 Representative of the Savannah-Chatham County Board of Public Education, launched her campaign Wednesday to seek a four-year-term on the school board. “I am running because the children of District 2 need someone to ask questions for them, questions that will bring about conversations that will make sure their needs stay on the table. We are at a difficult place in education in Savannah . We need people who are committed, courageous and compassionate to step forward. I am that candidate for the second district," Dr. Hoskins said. The election will be held July 31, 2012. A Savannah State University graduate, Dr. Hoskins earned a Doctorate of Philosophy in Marine Sciences from the University of South Carolina. She successfully developed the Cooperative Marine Education and Research Program at Savannah State for the National Oceanic and Atmospheric Administration. She teaches graduate and undergraduate courses at SSU and has an active research laboratory. Among Hoskins values are transparency and availability. She wants the public to better understand how the district makes decisions and wants to focus on improving students performance. “We can not ignore low test scores across the district. We have to focus on how we can have students better prepared and how we have failed them,” Hoskins said.